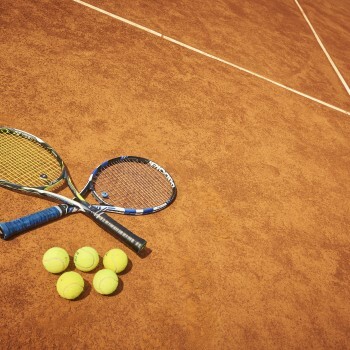 Significantly, at the beginning of the 1970s, the attractive international tennis tournament Istarska rivijera (Istrian riviera) took place for the first time in Croatia, whilst a few years later, Rovinj hosted their first groups of tennis enthusiast. This tournament is today listed with the ATP. Today, this is a destination where amateurs from around the world meet and take part in organised tennis schools and famous tennis camps. They choose Rovinj as attractive location offering optimal infrastructure and outstanding accommodation for enjoying active holidays all year round. Over the years, tennis matches in this interesting destination have attracted many generations among whom are some of the most famous names of the tennis world such as the legendary Goran Ivanišević, winner of the Grand Slam Petr Korda, number one ranked at atp rankings, Boris Becker and Thomas Muster... Why Rovinj? 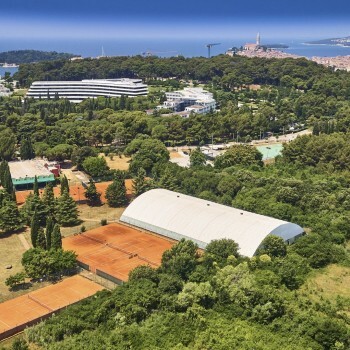 30 tennis courts, a favourable geographic position, a mild Mediterranean climate, accommodation by choice (hotels and resorts 3*, 4*, 5*), a top quality gourmet offer, a healthy cuisine adapted to athletes, friendly hosts, an attractive leisure and entertainment offer. We would like to present just some of the tournaments organised so far in Rovinj: Istarska Rivijera Tennis Tournament, ITF GMP Cup Rovinj Tennis Tournament (grade 1).